Streaking, excessive drinking, car chases, boyfriends trying to beat up heroes and even vicious animals on the loose – is there anything within the out-of-control party subgenre we haven’t seen? According to “21 and Over,” no, but since when does lack of novelty keep someone from going out and partying? Miller, Casey and Jeff Chang (Miles Teller, Skylar Astin, Justin Chon) were best buddies in high school, but since heading off to college, have somewhat fell out of touch. However, there’s no better reason to reunite than to celebrate Jeff Chang’s 21st birthday. Miller and Casey opt for the element of surprise and while Jeff is thrilled to see his good ol’ pals, he can’t go out and party because he’s got a big med school interview in the morning. After a great deal of pleading and the incessant blaring of an air horn, Jeff gives in and agrees to have a single beer – that is until his legality hits him and he realizes he’s got every bar and bottle in town at his fingertips. Similar to just about every party movie out there, “21 and Over” is an excuse to live the ultimate unrealistic bash vicariously through film. The narrative isn’t particularly believable or compelling, but Teller, Astin and Chon are talented and charming enough to keep you engaged and, for the most part, enjoying the party. With growth in the digital realm happening so often, so does the desire to develop big-screen epics with mythological creatures at the core. 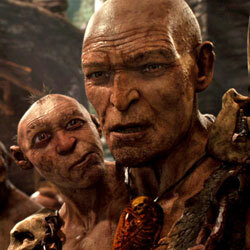 We’ve got hobbits, aliens, supersmart apes, and now Jack the Giant Slayer adds a community of giants to the list, too. Whether you’re into the film’s promo material or not, one thing Jack clearly has going for it is that, unlike werewolves, vampires and witches, giants are relatively untapped and new. Hopefully Bryan Singer manages to use this fresher subject matter to hit it big with critics, fans and the box office, but regardless of Jack’s level of success, these other underused creatures still have the potential to become cinematic gold themselves. Thanks to her iconic chilling backbend, Ashley Bell’s been permanently engrained in our minds ever since Eli Roth and co. unleashed the very first poster for “The Last Exorcism.” Since, Bell’s been packing on the projects and making quite the name for herself beyond the horror genre, but after “Last Exorcism” hit it so big, how could Bell not return for another dance with the devil? 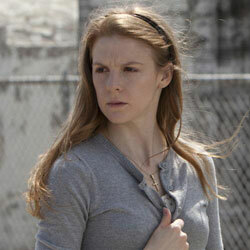 In “The Last Exorcism Part II” Bell is back as Nell Sweetzer. The story picks up right where the first film left off, Nell being the only survivor of the third act massacre. With her family long gone, Nell is sent to New Orleans to start a new life, however, Abalam isn’t done with her just yet and has no problem relocating from rural Louisiana to the big city to get what he wants. Stepping back into Nell’s shoes is one thing, but Bell is also responsible for bringing Abalam back to life. Check out what Bell had to say about handling what she calls Nell’s love affair with the devil, the thrill of developing the backbend 2.0, and much more in the interview below, and be sure to catch “The Last Exorcism Part II” when it hits theaters on March 1st. “Dark Skies” is far from a haunting masterpiece, but the February debut, lack of pre-release screenings and rather weak promotional effort gave the film a much poorer reputation than it deserves. The Barretts are struggling with some financial issues, but otherwise, live a nice life in a quaint suburban neighborhood – that is until their home becomes the focal point of inexplicable, disturbing events. Lacy and Daniel (Keri Russell and Josh Hamilton) are able to dismiss the first few bumps in the night as alarm malfunctions and bad dreams, but when the threats become even more devastating and increasingly violent, they have no choice, but to address the fact that something might be after them. In an industry oversaturated with paranormal entities, the E.T.-related scares in “Dark Skies” are rather refreshing. There are some outrageous and almost silly moments like the tower of kitchen condiments and Lacy being forced to bash her head against a window, but we’ve also got a few big winners, namely things that can give you the creeps in a movie or in real life. The sound of the house alarm going off is endlessly unnerving as are the assortment of violent blemishes on the family’s bodies. It’s been a slow week for big-budget wide releases, but even if the studios unveiled more trailers for their potential upcoming hits, the trio that went on to claim the top three spots still likely would have put them to shame. 1. Spring Breakers: Just about every piece of promotional material for Spring Breakers is a sick and twisted thrill, but the latest red-band trailer is the first to hint at the finer details of this warped party bender. Turns out, one of the four girls actually has a degree of integrity and that could be just enough to let us watch their intoxicated lunacy without feeling entirely guilty for enjoying it. Warning: this trailer is NSFW. Based on Rudolfo Anaya’s Premio Qunito Sol-winning novel, Carl Franklin’s feature highlights the Chicano culture of the 1940s in New Mexico. 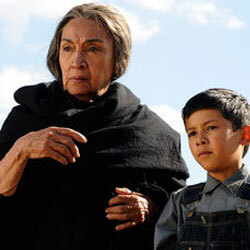 When young Antonio’s (Luke Ganalon) parents invite the curandera, Ultima (Miriam Colon), to live with their family, Antonio takes to Ultima’s spiritual guidance, causing him to question how he lives his life, the divide between good and evil, and the difference between what Ultima preaches and what he learns at church. In honor of the film’s limited release, Ultima herself, Miriam Colon, was thrilled to take the stage at her own Puerto Rican Traveling Theater in New York City to discuss her passion for the project. Check out what Colon had to say about embodying such an influential character, working with her immensely talented young co-star, the movie magic behind Ultima’s spiritual treatments and more. Watch it all in the video interview below and be sure to catch “Bless, Me Ultima” when it arrives in select theaters on Friday. It ain’t easy being a young-adult book-to-film adaptation in a post-Hunger Games world. Tone, topics and characters may vary, but the moment it’s revealed that a new film comes from source material in the YA realm, comparisons are inevitable, and when you’re going up against a film with an 85% on Rotten Tomatoes and $686.5 million at the worldwide box office, that can be tough to handle. While The Hunger Games will almost undoubtedly go on to accumulate another three films, it’s likely that film one stopped the Beautiful Creatures series dead in its tracks. According toBox Office Mojo, the film ran Warner Bros. a $60 million production tab on top of the millions it probably cost to promote the thing, so a $7.6 million opening with a measly $2,569 per theater average is an immensely disappointing start. Even worse, with the Valentine’s Day hype long gone, it could be heading towards a 45% or even 50% drop in its second weekend, and with two new wide releases hitting theaters on Friday and both Side Effects and Silver Linings Playbook holding strong, Beautiful Creatures might only end up with one weekend in the top 10. 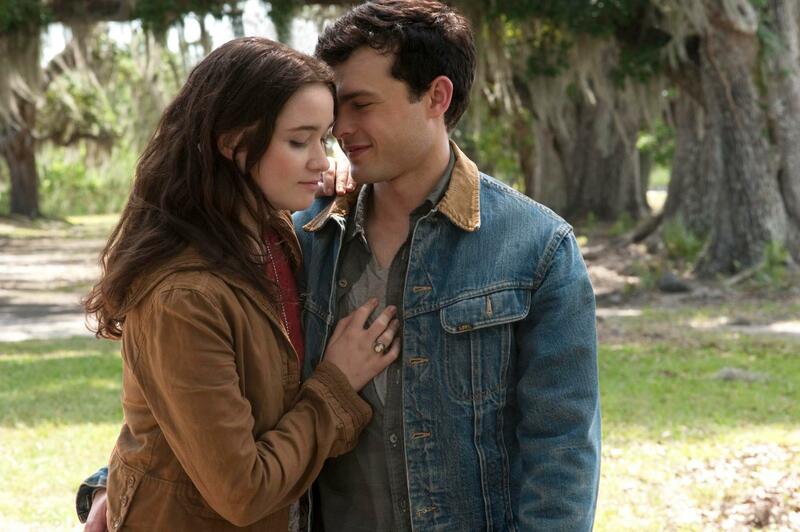 While we can’t entirely blame Beautiful Creatures’ poor performance on The Hunger Games, it’s almost impossible not to pit one against the other — and by doing so Beautiful Creatures, in some respects, may seem worse than it really is.